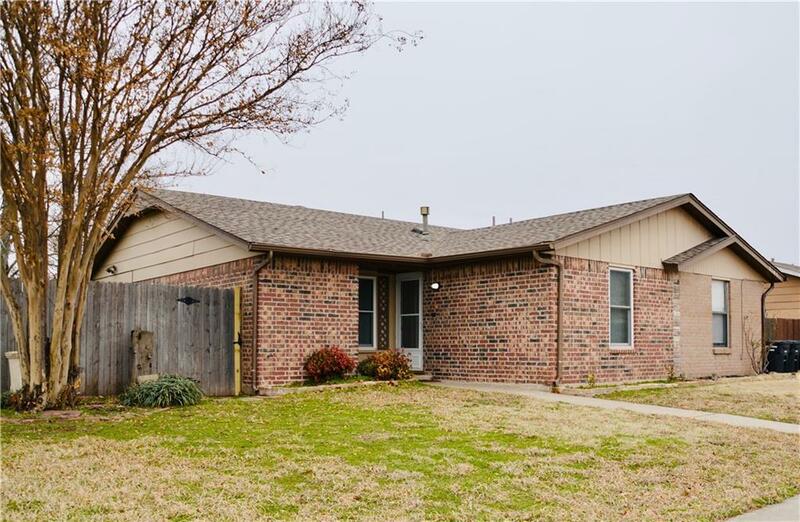 2107 Meench Drive, Moore, OK.| MLS# 852865 | Oklahoma City Real Estate | Apple Realty, Inc. This adorable, well cared for half-duplex has been newly remodeled. It includes two bedrooms, two full baths, open living, kitchen, and dining. It has an inside laundry, double kitchen sinks with garbage disposal, dishwasher, and gas stove/oven. Enjoy the fenced back yard and patio. The front yard is landscaped and has an alley access garage.